June 20, 2015, in Shenzhen, LeMaker released the newest series product, LeMaker Guitar, LeMaker Bass and LeMaker Piano. At the same time, LeMaker launched the Micro Data Center Design Challenge judging. During the Maker Faire Shenzhen 2015, June 19th to 21th, LeMaker attended the Maker Faire as the golden sponsor. LeMaker joined the Linaro LCG, an open source software organization with non-profit and transformed perfectly to be the youngest member. Founded in March 2014, LeMaker developed fast in the past year and would go faster in the future. Many chip manufacturers are attracted by its brand strength, such as Actions and Freescale. In addition, LeMaker signed a strategic cooperation agreement with Actions. Here are some introductions about the new products. 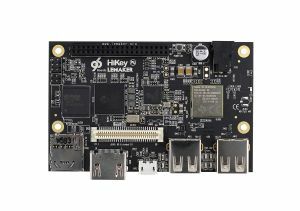 LeMaker Guitar (http://www.lemaker.org/article-46-1.html) is a high cost performance SBC which was designed by LeMaker Team. The target of LeMaker Guitar is “The first choice SBC for the public makers”. LeMaker Guitar is the first open source SBC which support Android 5.0. It can be customized to meet demand cause the special design, core board and main board. LeMaker Bass (http://www.lemaker.org/article-47-1.html) adopts Actions S900 SoC which integrated 4 * ARM® CortexTM-A53 up to 1.4 GHz CPU and Imagination PowerVR G6230 up to 600MHz, 2GB DDR3. It has strong imagination power. 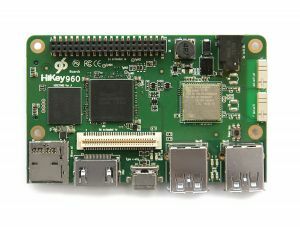 The interfaces meet the 96boards standards of design. 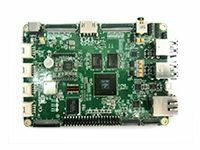 LeMaker Piano (http://www.lemaker.org/article-48-1.html) is the first open source industrial grade SBC so far. it can work normally under the environment temperature from -40℃~105℃ and can be used widely in different areas with strong stability. In the future, LeMaker will design more open source SBC for makers around the world. Linaro Community Board Group (LCG) has been formed to support the new 96Boards initiative. 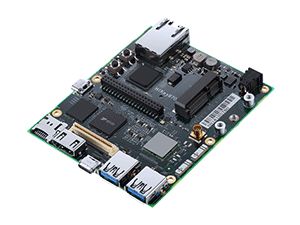 96Boards is the first open hardware specification that provides a platform for the delivery of compatible low-cost, small footprint 32-bit and 64-bit Cortex-A boards. Corporate members of Linaro provide funding and engineers plus direction through various steering committees and resources are split into semi-autonomous groups with their own members. LCG is one of these groups and its member companies contribute to the development of the 96Boards specification, the maintenance of this website and support for the software builds for their compatible boards. LCG membership is required for 96Boards certification.